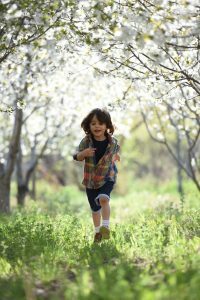 Looking for ways to encourage your children outside this spring? Try our Top Ten ideas – and let us know your suggestions for making the most of the season. A kite with two strings is easier to control than one with a single string. Hold the kite high and keep the controller low as you launch. Not just for Easter, hide things around your garden, park or playground for the children find. Or try a variation on I Spy and award points for each item on a list – for instance, one point for a pedestrian crossing, two points for someone walking a dog, three points for a litter bin. Compile a list of things to spot, each of a different colour: red bus, orange writing on a poster, yellow coat, green leaves, etc. As you walk around the playground or the park, the leader walks a bit, runs a bit, jumps, hops or skips and everyone behind has to follow suit. Children can take it in turns to be in charge. Take a walk around town looking at road signs. What do they mean? How many different ones can you see? How many have pictures? How many have words? Who are they for – drivers or pedestrians? 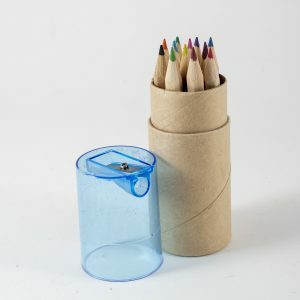 Back indoors, children can design their own. Grab some sturdy paper and a pack of wax crayons and discover textures in the natural world. Take rubbings of trees, park benches, fences, railings: any surface that leaves an interesting pattern. Use a magnifying glass to examine the centre of a flower, a seed head or a leaf, and dig around in the soil to find some creepy-crawlies! Egg-and-spoon, dribbling a ball between cones, jumping through hoops or walking along a low balancing beam. 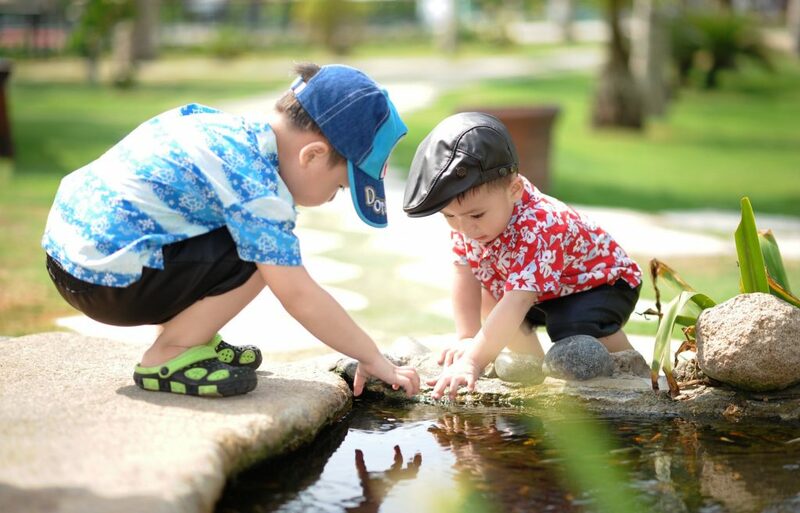 Make the challenges appropriate for the age of the children – but not too easy or it’s no fun! 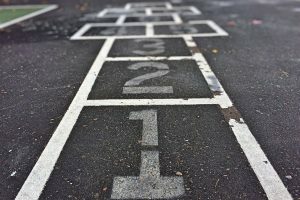 Use playground chalk to mark out the grid, grab a beanbag to throw on to the numbered squares and see who can finish the challenge first or quickest or with the most imaginative hopping style! 10. Don’t go on a walk! This entry was posted in Brightkidz Blog and tagged bus, public transport, trams. Julia Thorley is a freelance writer and editor with an interest in safe and sustainable transport. She is a long-time supporter of Brightkidz, and was instrumental in setting up one of the first walking buses in Kettering.